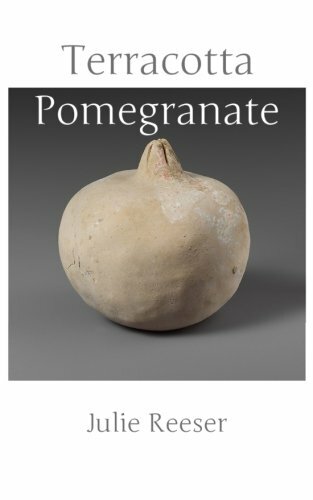 I want to share I got my first 5-star review on Amazon for Terracotta Pomegranate! What a wonderful feeling to know my words connected with someone out there, and she noticed the birds! The smoke here is thick, and I can’t remember the last time I saw the blue of the sky. It’s making me turn inward the way I do in winter, an early hibernation, and it’s easy to fall into depression. Thank you all for coming here to share my journey and my stories. It truly helps. Someone cleared their throat behind Sharna. Now I’m in for it, she thought. “I’m so sorry. I know you thought I’d do the magic for you, but I can’t. I just can’t,” she said. It wasn’t the merchant. Sharna lifted her heavy head and looked to see who had spoken. In her muddled state, she didn’t understand at first. The woman looked familiar, but why? She didn’t know anyone…oh, it was the thief! Sharna sniffed back her tears and stepped toward the thief’s outstretched hand. “But what about him?” she asked. The thief burst out laughing then. “You are drunk. So be it.” Before Sharna could process what was happening, the thief had grabbed her around the waist and slung her over a bony shoulder. Sharna let herself go heavy and limp, and smiled a bit to herself when she heard the thief grunt softly. When they emerged onto an alleyway, the thief didn’t release her. She kicked a bit and earned another smack. Sharna froze before hanging limp again. Arrested would be bad. Would her mother ever speak to her again? When she didn’t show up at the Mansion, both her parents would disown her. The thief attempted to put her on her feet, but the shift in weight overbalanced them both, and they fell in a tangle of arms and legs. Posted on August 12, 2017 by Julie ReeserPosted in StorytimeTagged community, creativity, fun, writing. I love winter, it’s my favorite time of the year. I live for the cold and grey. Does that make me weird? Perhaps it only contributes to the pre-existing condition of weirdness. I really hope you like it. I know poetry isn’t for everyone. Even if you hate it, I’d be grateful if you leave an honest review on Amazon!